The Current: SURU - the New Cub? 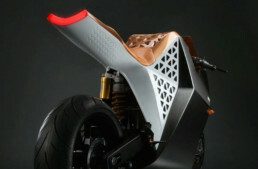 Michael Uhlarik is a professional motorcycle designer with just over 20 years experience designing conventional motorcycles and scooters for Yamaha, Aprilia, Piaggio, Derbi, Bombardier and many others, and simply fell in love with the design potential of electric drive in 2007. 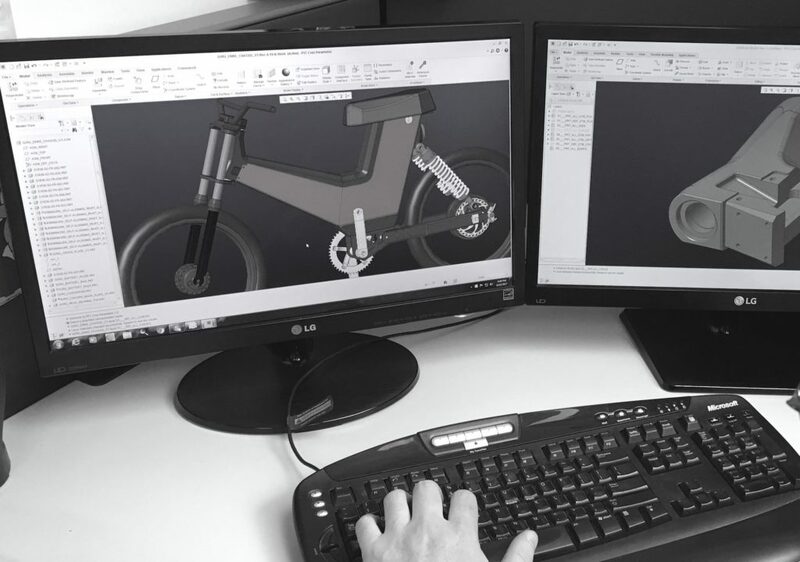 The Amarok P1 was his first attempt to do electric motorcycle design properly, starting with a clean sheet approach to minimize weight and maximize efficiency. His team just introduced the SURU One Fifty at the Toronto Motorcycle Show. Tell me about the journey to launch the Amarok R1, and how it benefits the SURU One Fifty. The Amarok experiment was all about using less to achieve more: less materials, less expensive and exotic processes, and ultimately less power so that the overall mass (weight) of the bike would be drastically lower. At the time (2010-13), electric bikes were pigs, weighing between 220 – 260 kgs, because everyone was creating conventional frames and bolting in vast amounts of batteries. Essentially, the whole industry was just building conventional motorcycles and converting them for electric power, rather than designing them from scratch to be electric motorcycles. The Amarok approach was to build the two-stroke 250cc equivalent in electric bikes: a 125 kg lightweight that was narrow, aerodynamic and therefore could get the same punch from fewer batteries than bikes with double the energy on board. We took nothing for granted, and re-examined every aspect of the motorcycle. In the end, the Amarok had absolutely no common parts with any motorcycle in production. Fully custom built suspension using Formula 1 concepts, composite construction subframes and some pretty radical motor-to-final-drive layouts. Everything was questioned and redesigned to reduce weight as much as possible and make each part do the work of two or three. Amarok succeeded in achieving those goals, where the final P1A/B and P2 spec machines tipping the scales at 137 kgs, while putting out 82 hp, a very tight and narrow package. We raced it at Pikes Peak (unsuccessfully) and conducted many track tests to hone the aerodynamics. Ultimately, those bikes taught how to get the similar performance of 12 kW machines using only 6 kW. It was, if you pardon the pun, enlightening. Electric bikes come in all shapes and sizes. How did you decide where the One Fifty would slot into the current market? The Amarok series achieved their design goals by using a proprietary monocoque construction process. Several years after the last P2 was constructed, I was looking for an application of this technology when I read about the explosive growth in electric bicycles. Intrigued, I test rode a bunch and came away excited and at the same time unimpressed. Just as with the early electric motorcycles, it seemed that the e-bike business was about conversion. Conventional frame and suspension designs, conventional components, just with added batteries and electric drive parts. The first SURU design was laid out and detailed in one weekend, using the Amarok approach and same proprietary construction process. 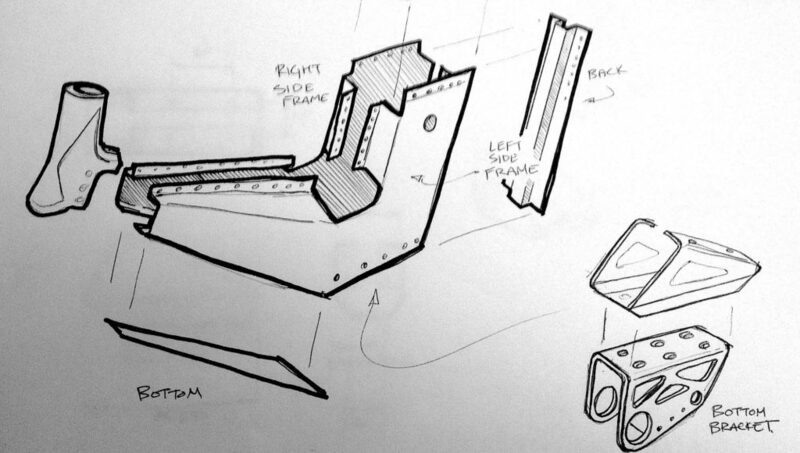 The frame would be the housing for all the electronics and battery, and be so strong that it would require no additional structure for support. It was light, and using motorcycle parts instead of bicycle ones for wheels, tires, brakes, etc., meant that SURU would be easily three to four times stiffer and stronger while only slightly heavier than similar spec e-bikes using bicycle componentry. The SURU concept is not a replacement for a pedal-assist bicycle, but a replacement for a bus pass, Uber, or taking your car. I saw the need for a simple-to-use, utilitarian electric bike that could be used by anyone—not cyclists, and not motorcyclists—but genuinely anyone who ever wanted reliable personal mobility. It is a perfect A to B to C to A commuter and errand machine. Light, inexpensive, and extremely robust. With integrated dual suspension and DOT-certified lights, wheels and tires, it’s also amazingly robust and offers terrific value. Canadian manufacturing at your price point is impressive. How many are you scaled up to make and deliver in 2018? The rest are very fancy bespoke designs by boutique builders and European brands that often cost as much as a small car or name-brand motorcycle. 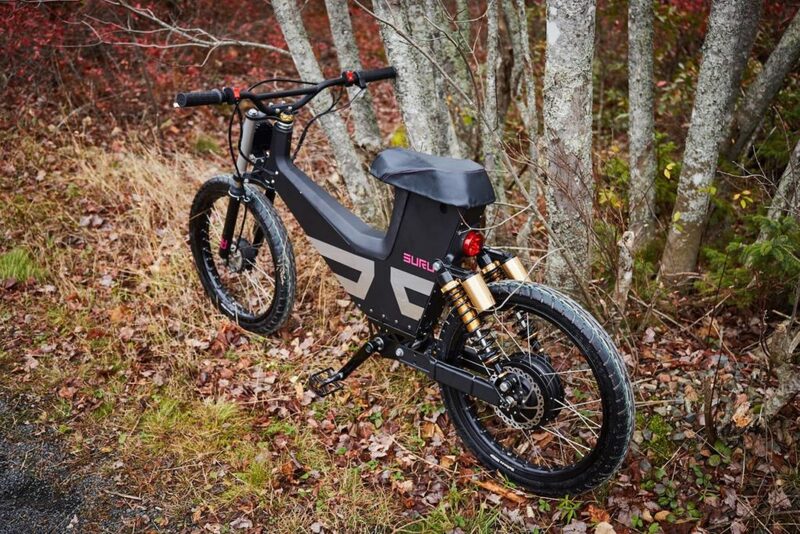 SURU is the happy middle ground, a quality, made-in-Canada product that is solid, reliable and yet has street-legal performance that equals machines costing much more. Nothing in the market has our motorcycle engineering in the frame and chassis, certainly not at this price point. We can do that because, like Amarok, we can use much less material to get that performance. 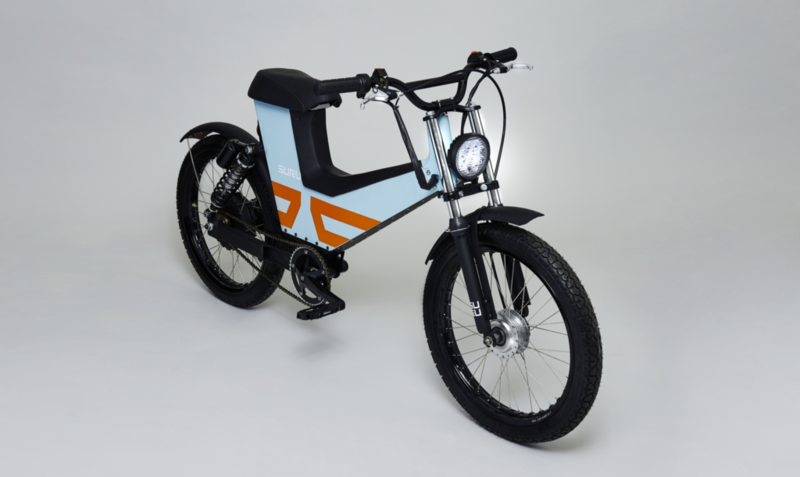 SURU us the modern day equivalent of the Honda Super Cub. Corrected for inflation, the SURU costs about the same as the C90 did in 1958, and has about the same capability albeit with a much lower top speed. The operative point is that the Super Cub opened up powered two-wheelers to millions of people who would otherwise never have considered riding a motorcycle for daily transport. SURU, by being comfortable, strong and easy to use, opens up the electric bike to people who just don’t want a bicycle, but similarly will not get a license and buy a Vespa or motorcycle. SURU is the transportation missing link for people who want effortless, stylish motorized mobility. When will we see a SURU land in the US? The company will be launching a US-spec product in March, with 750-watt power and some unique colors and details. The SURU Two Fifty will retail for $2,900. The idea of off-road or special performance SURU products is already gaining steam, as our flat track concept at the Toronto Motorcycle Show garnered lots of praise and attention. Final specs are far from clear, but we see a bike in the 6,000 – 8,000 watt range, with serious dirt only performance potential. I’m always sort of down on these sort of concepts because I’ve seen a hundred of them but never seen a market materialize. Really, who is going to buy this and use it for errands? Errands with motorcycles are a lesson in logistics, figuring out where to store a helmet, carrying stuff, and on and on. Until BIRD came about in Santa Monica. Basically someone took electric scooters (think Razor with batteries) and scattered them throughout the city. Everyone is using these things. It costs $1 plus a super small mileage fee. Maybe it’s a fad but I see people bombing around on these every day. It’s really neat. Of course the city wants to kill it and Santa Monica answers to the NIMBY’s so we’ll see if they survive. SM put in bike share but after the first week I haven’t seen anyone using them aside from renting them near the boardwalk to ride around.